The problem you choose to investigate should be broad enough that you’ll find new theories and experiments recently published. The academic paper you’re writing shouldn’t be boring. Instead, you need to find something engaging for you and your audience. Research writing should correlate with your subject. Moreover, the primary step to finding your topic—read materials on your subject. How to title a research paper according to your subject? Try rereading–you will find a lot of interesting things in your notes to turn into an academic paper title. It’s also useful to read some works written by previous students. Ask your professor where you can find examples, and investigate their topics. It will give you the inspiration to write a paper on an important issue. How to start a research paper? By doing research, of course! In the beginning, you should determine where to find information. We have some tips on how to do a research project. Following these guidelines, you will get only trusted sources. Look at your “How to cite a research paper” instructions. In the majority of colleges and universities, there is a ban on using Wikipedia as a resource. Don’t believe the facts it offers. Instead, search for information from trusted sources. Everything from your topic to paper style should be coordinated with your professor. Don’t be shy to verify what research sources to use. At a minimum, you will know a couple of useful links, books, and surveys. There are databases developed to hold information that is often used for academic writing. They are perfect for college and university students. For example, you can use JSTOR, Google Scholar, or Academic Search. The outline for a research paper is the basis of your text. For those who develop great structures, filling it up with text doesn’t seem difficult. Honestly, there are no strict rules. As long as you don’t hand it in to your professor. It’s better to keep your outline as something useful just for you. However, if you professor requires it to show that you did the work, or are on the right track, by all means turn it in. Every professional academic writer has available several types of research paper structures. In the next part, you’ll learn how to develop sections of your paper using an outline. Unfortunately, no sample of a research paper is based on a 5-paragraph structure. But that doesn’t mean you can’t use it for an outline. Just divide your ideas into different paragraphs as it advises. If it’s your first writing assignment of this type, perhaps, sections of a research paper aren’t familiar to you. In this part of the guide, you’ll learn all the categories that are essential for a research paper. We also collected several techniques and tricks for powerful research paper writing. Many students face this problem—you have a research paper topic and even some written material but don’t know how to title your work. If you don’t develop a good research title, the pages don’t make any sense. What are you creating? Why is this important? The audience will ask many questions. But it is you who actually should ask them first. What strategies and techniques do I use? What are the results of my work? Then combine the answers you get into a clear, informative title for a research paper. The abstract isn’t a typical section for students who only write essays. So it may be a challenging task. Perhaps, for help you’re searching for step-by-step instructions on how to write an abstract for a research paper. And you can find it by following the links at the end of this paragraph. Write about your investigation. What results do you plan to get? What subject do you describe? The abstract for a research paper should be compact and precise. Try to avoid vague explanations and wordiness. Don’t overestimate your work. Don’t sell your ideas. Stick to a critical approach—tell about the advantages and flaws of your research. The introduction to a research paper is your first chance to make a great impression on the audience. The introduction is a reflection of your whole work. Structure this section by paraphrasing the main ideas of the paper. A research paper writer builds all the text around the fundamental idea. Focus on your topic and decisions about the problem. Concise use of words is a standard feature of a great introduction. Make sure every sentence you include in this section has importance and can’t be deleted. Don’t be shy to write about the weaknesses of your academic writing. Everyone understands that a regular student can’t develop a perfect investigation because of certain limitations. How to Write the Introductions for Your Articles? Some call the methods section of a research paper the core of the writing. Its importance relates to the fact that all the tools of your investigation are listed here. What should you include in the methodology of a research paper? A discussion with a specialist is a professional way to make your paper valuable. Plan all the questions, details, and location before meeting the person who gives you an interview. What is a research paper without the investigation of documented resources? Be careful when choosing the materials—they must be relevant to the topic and trusted. What does a research paper look like? It’s a combination of investigation, statistics, and experiments. That’s why you should add some surveys to show facts, not only theory. Observation is a real experiment. It makes your research more valuable and also—it’s a lot of fun. Put all your results in a special table you create that shows the data clearly. How to Write a Method Section? Results of a research paper show the outcome of your work. To develop a great scientific research paper, you should prepare your surveys and investigations so the results will be very easy to formulate. Before you start even thinking about narrowing your research paper topic, brainstorm the primary questions for your project. One more time, include all the results of statistics and surveys to show the audience the scientific facts. Never avoid negative results. 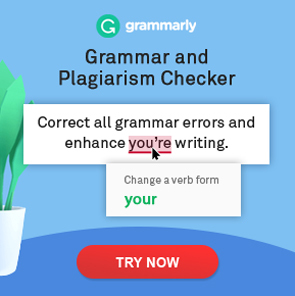 They aren’t mistakes in your academic writing. They’re an outcome of your research work. Look carefully at what hypotheses you applied. Comment on each of them, was it proven or not, and by what methods. How to Write the Results Section of a Research Paper? This is a section where self-criticism takes place—you can’t draw a good conclusion if you don’t evaluate your work with all its advantages and flaws. You also should show in this paragraph whether your research proved the results of other specialists or not. How to Write a Strong Discussion in Scientific Manuscripts? You may think: We’ve already had a results section; why do we need a conclusion? A conclusion for a research paper doesn’t only show your achievements. The main function of this section is to leave the reader with a final impression. You can, for example, invoke in people the desire to be more conscious of nature by sharing the facts about global warming. Use these links to become a specialist in writing conclusions for research papers. It’s always important to write a bibliography, noting every article, book, or lecture that helped you to develop your project. When writing a reference page for a research paper, make sure you’re following the chosen format, for example, APA or MLA style. Incorrect formatting can lead to a lower grade and less value to your paper. The format of a research paper varies depending on the college or university you’re writing for. Be careful to follow the instructions your professor gives. You’ll know what length you should make your writing, what style to use for quotations and references, how to make a title page, and so on. The introduction is easy to write after you’ve completed your work. When you know all the details of your research, it becomes clear how to captivate your audience. Learn to evaluate internet resources. Even a professional essay you use as a reference shouldn’t be based on a hoax website. A proper way to write a research paper is to use your notes. Review them several times to find the best information. Revisions are usually required. Don’t expect your paper to be perfect on the first draft. So, now you know how to write a research paper. You have all the steps and information needed to complete your project successfully. We hope this collection of links and tips will help you create an A+ paper. You can find more guides for students on Custom-Writing.org.